#mtbminute- Tiger's win can make you a better mountain biker! Electric bikes and racing stole the show at the 2019 Sea Otter Classic. Making the annual pilgrimage to Crankworx Rotorua. One station wagon, 10 bikes and 1300km of open road. FOX sent over details of their new video series that will be showcased during the 2019 World Cup season. Details inside from FOX. Behind every podium is the multi-faceted story of grit, preparation and support. Beginning April 22nd, FOX will take viewers behind the scenes of the 2019 UCI World Cup race series, providing an insider’s view on what it takes to support a team of world class athletes. The Dialed series will be creating daily content in the week leading up to each race and will be present for all DH events and select XC stops: Date Event Venue Apr 21–28 DH Maribor, Slovenia May 26 &#8211; June 2 DH Fort William, Scotland June 3-10 DH Leogang, Austria July 1-8 DH/XC Vallnord, Andorra July 9-15 DH/XC Les Gets, France July 28 – Aug 5 DH/XC Val di Sole, Italy Aug 5-12 DH/XC Lenzerheide, Switzerland Aug 25 – Sept 1 World Champs Mont-Sainte-Anne, Canada Sept 1-8 DH/XC Snowshoe, United States When the margins of World Cup victories are often measured within hundredths of seconds, the perfect suspension tune can be the difference between a career-defining result and mid-pack disappointment. Dialed will follow seasoned FOX Factory Race Tech Jordi Cortes from stop to stop as he helps dial in athletes’ suspensions while handling the potential pressure of his work having a direct impact on the make or break of their races. As FOX supports many factory teams and elite athletes, there’s a unique psychological relationship between Jordi, the athletes he works with, and between teammates themselves. Dialed offers a window into these relationships, as well as pulls back the curtain on the tips and techniques used to tune suspension for various riders and terrain. Dialed will be hosted on FOX’s new MTB-specific Instagram channel: @RideFoxBike, with the first episode dropping on April 22nd from Maribor, Slovenia. Since Interbike was cancelled late last year, Sea Otter has now become the biggest bike show in North America. And as it turns out, this means it’s bigger, better and has more products on show than ever. We scoured the countless stands and have selected some of the most interesting bits of kit to feast your eyes on. The Yakima HangOver rack can take up to six bikes and will cost $799. It’s not been released yet but you can be assured it’ll be coming to a shuttle location near you soon. The ratchet system helps to secure the bikes and the rack can be tilted to help you access the truck’s bed or your car’s boot. Trek’s Checkpoint mixes SRAM Force and the MTB X01 groupset. Road and MTB meet on the Checkpoint’s drivetrain, a very gravel-ready bike. This particular model was just a bike to show what’s possible with mixing road and MTB parts. The bike is certainly a looker and we love the tan wall tyres. Stages is now offering factory-installed power meters on a selection of mountain bike cranks, including XTR. The XTR crankset and power meter will retail for $399.99. Stages has launched a range of new Dash GPS computers, this one is the L50 which retails for $349 and has a claimed 15-hour battery life. This is a cheaper Dash M50 GPS that’ll cost $249, but both this and L50 share deeply-customisable menus so you get the information you want to see easily. The Road Toad uses bits and bobs from a selection of Specialized’s bikes including the Turbo Levo. Unfortunately, the bike isn’t going into production. The Protaper kid-specific bars and grips are narrower than traditional ones — at 15.6mm — but rated to the same safety standards. Peaty’s now has a tubeless conversion kit that’s beautifully packaged. Peaty’s has also launched some new valve stems. The tubeless conversion kit includes valves, sealant and tape. Ortlieb had a selection of new bikepacking bags designed to help you enjoy the wilderness more. The Atrack BP is a bikepacking-specific bag that’s a re-modelled version of the Atrack bag. It’s compatible with a 2-litre bladder that lets the bag retain it’s waterproofness and it’ll retail for $265. Wow. The Mavic SL wheels are claimed to blend the smoothness of its MTB wheels with the accuracy of its road rims for rugged rough road, pavé and gravel performance. These 700c wheels are 23mm wide internally and weigh a claimed 1,445g and cost $2,100. The Mavic SL+ wheels are 650b but share the same characteristics as their SL rims. They cost $2,100 and weigh a claimed 1,550g. The JUNIT fork uses a standard Boost axle and is based on the Machete platform. The JUNIT fork has an exceptionally short axle to crown length for the smaller riders. Manitou has tuned its rear shock for kids who are lighter and less aggressive than adults. The JUNIT looks like all the other Manitou forks with the fork’s arch located on the back. All of the JUNIT kit (forks, wheels, bar, grips and re-tuned rear shock) bolted to a Commencal Clash bike. Knog’s PWR lights are modular and this one offers a claimed 450- to 200-lumen output depending on model. There’s a two-way USB connection so you can charge devices or charge the light. Loadsa’ LEDs. They’ll cost between $74.95 and $269.95. The Dominion brake has been a redesigned lever blade for smaller hands. Evoc’s Race Belt is a slimmed-down bumbag for enduro racers. It’s going to cost $45 and will be available later this summer. The bike bags are designed to fit on most frames. The larger one is going to cost $50, the smaller $40. The top tube bag is designed to be mounted to the top of your top tube near your stem. It retails for $40. Endura MT500 Lite kneepads have D3O protection behind a soft outer pad and cost £69.99. The hard shell MT500 pads have the same D3O protection as the Lite ones, but use a hard outer casing. They cost £79.99. The MT500 Protector Undershorts II also have D3O protection and retail for £69.99. The Crankbrothers F15 LE now comes in new colours. The Stamp 1 pedals also come in new colourways. The Ronin’s carbon construction is gravel-specific. The frameset retails for $3,999. The Ronin has a smart finish and subtle graphics. The full bike is gravel ready and looks awesome, and this Shimano Ultegra Di2 version retails for $9,499. This Arktos was built for Cody Kelley especially for Sea Otter. The bike had a snazzy paint job. Cody looking cool with his bike. The Arktos 29 ST is a more playful version of the Arktos. The bike features 120mm of rear wheel travel. It sure looks like a little pocket rocket that comes with a hefty price tag. The Shimano XTR version retails for $10,499. A cheaper SRAM GX Eagle version is available for $5,299. 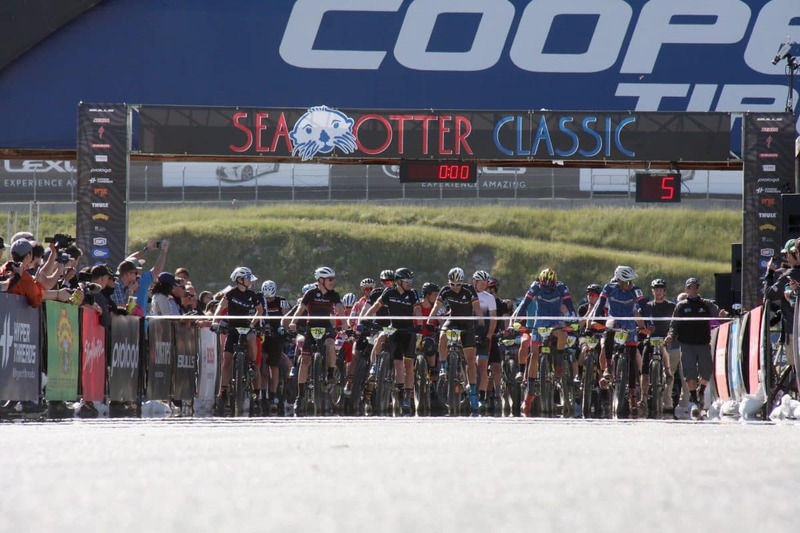 Electric bikes and racing stole the show at the 2019 Sea Otter Classic. From Class 1 (pedal-assist) to Class 2 (throttle) and Class 3 (28 m.p.h. approx. top speed) — take a look at all the e-bike products on display, on and off the Laguna Seca racetrack. Innovator: The newest Specialized Turbo Levo was on display, looking sleek and ready for the dirt. Ultra-modern: The CAKE street-legal electric motorcycle from Sweden. Townie bikes: The BMC Alpenchallenge AMP Cross bike is just one of the Swiss brand&#8217;s electric offerings. Off-road: Another beautiful electric offering, the 150mm rear travel BMC Trailfox AMP SX. German brand BULLS had their complete line on display. Ghost Bikes were offering test rides on their e-bikes. The Gazelle Arroyo C8 HMB Elite is one of the many e-Bikes powered by the tried-and-true Bosch power plant. From city to off-road, Haro Bikes had all their electric bikes on showcase. Mini e-Bike: Specialized&#8217;s Robert Egger created this Hodaka-inspired electric mini bike called the Road Toad. The Decoy by YT Industries received the lion&#8217;s, errr, duck&#8217;s share of attention in the enduro electric bike category. The Trek Domane+ is just one of a complete range of electric bikes from the Wisconsin-based company. The Devinci AC XT is the Canadian brand&#8217;s flagship off-road electric model with 170mm of rear suspension travel. Road: Donnelly Cycling offers one of the most discretely-packaged e-Bikes on the market. Wildsyde were displaying their line of beach cruiser e-Bikes. Saturday&#8217;s e-Bike race get ready to go with the pros staged in front of the amateurs, all racing at the same time on the same course around the tarmac and trails Laguna Seca venue. France&#8217;s Caroline Mani was the sole pro woman entered in the electric category. But Caroline wasn&#8217;t immune to a first straightaway crash that collected several riders&#8230; Caroline was able to quickly re-mount and begin picking through the men&#8217;s e-Bike field on her way to victory. Hang loose: E-Bikers have more fun, thanks to electric pedal-assist. Some riders had their hands full with &#8220;Turbo&#8221; mode: Men&#8217;s 15-18 competitor Shan Agan hangs on for the ride. Lovers and hecklers: The sidelines of the electric bike category were filled with both. Overall, the e-Bike category was all about fun. Pro electric bike racer Edwin Bull&#8217;s Hawaiian shirt and gravel e-Bike helped keep things electrically eclectic. The Pigman, Jeff McGrath in denim and leather, helped make the e-Bike race the most enjoyable to watch at Sea Otter 2019. 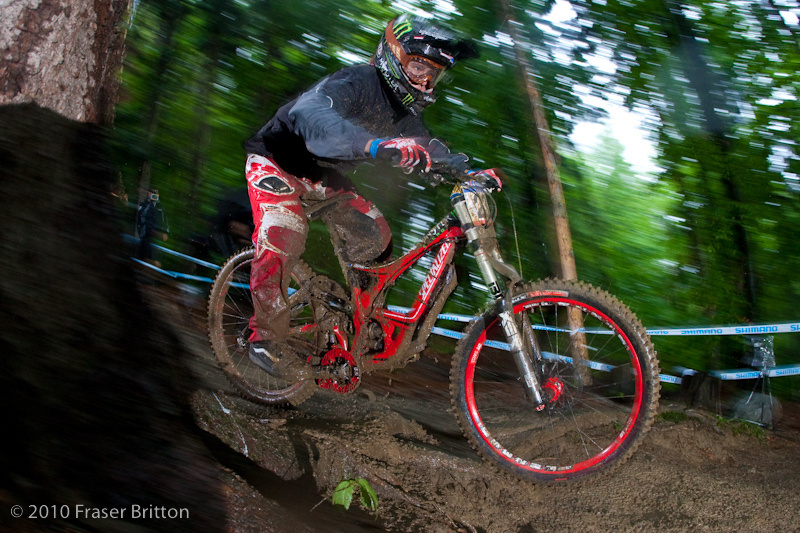 Charlie Mullins grabbed the lead early in the electric bike race and took the pro men&#8217;s win. The utility power of electric bikes was most noticeable at Sea Otter. The Benno Boost E is outfitted to be one of the most utility-driven electric bikes in its category. The Tern GSD line is a small, yet resourceful, electric bike option. Need to cart kids around town? Yuba Bikes have several pedal-assist electric models. Xtracycle has a long reputation in the utility bicycle game and are now offering electric models. Yamaha is officially back in the bicycle game with a full line of power-assist bicycles that includes the YDX Torc mountain bike. The post All Things Electric at Sea Otter 2019 appeared first on Electric Bike Action.